The Autism Society Philippines in unity with the Quezon City PDAO, National Council on Disability Affairs, National Historical Commission and the ASEAN Autism Network, invite families who live with autism and autism inclusion advocates to gather on World Autism Awareness Day in prayerful celebration of life on the spectrum. You will see persons with autism perform praise music on stage, punctuated by prayers from persons with autism, siblings, parents, government officials, businesses and professionals. 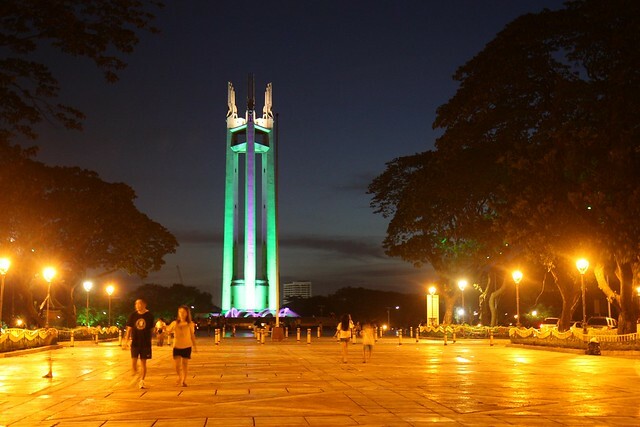 After the blessings, we will then bathe the historic Quezon Memorial Circle in blue light. Participants are invited to share a simple community agape meal after the program. Please sign up for tickets using the form below. Please print your tickets, as this will your security pass and food stub. Kindly wear an Angels Walk shirt or any green shirt, as a crowd security measure. Participants are requested to bring your tickets, umbrellas or caps, candles and matches or flashlights, picnic mats or folding chairs, and food or drinks to share. Beyond awareness, the Autism Society Philippines calls for ACCEPTANCE and ACTION. The ASP Calendar of Activities for April 2016 can be found here: http://bit.ly/waadPH-2016. ASP is a proud member of the ASEAN Autism Network. The United Nations declared April 2 as World Autism Awareness Day. This year's theme is "Autism and the 2030 Agenda: Inclusion and Neurodiversity". Read more at http://bit.ly/21uv0oO.